In this edition of Muscle Car Milestones, we’ll turn back the clock to 1969. A time when the Concorde made its first trial flight, Richard Nixon is inaugurated as President, and Mario Andretti wins the Indianapolis 500. 1969 was also a time when budget muscle cars were gaining in popularity. 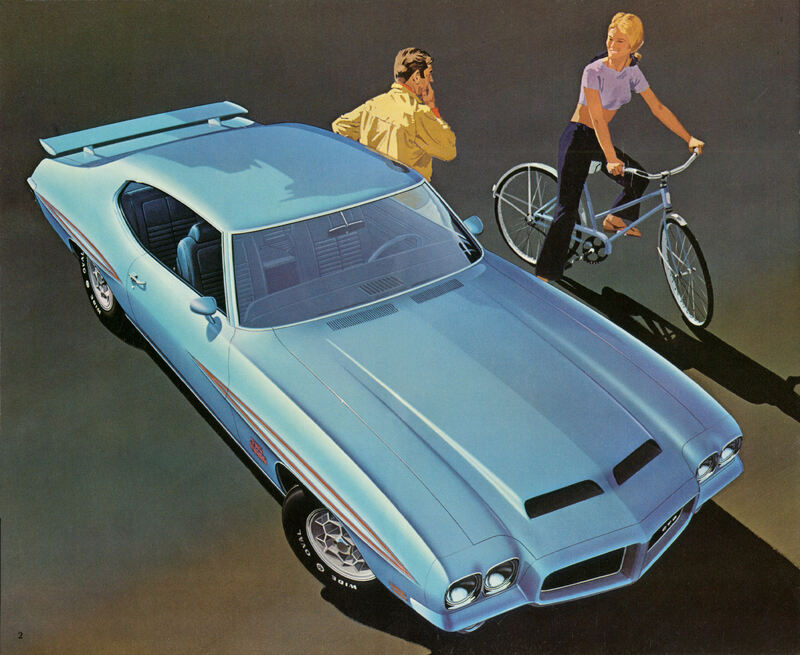 One of the most popular of these was the Pontiac GTO Judge. A flashy street fighter with all the performance features a driver could want without breaking the bank. 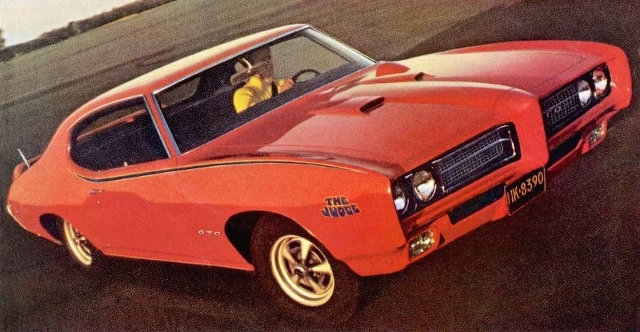 Go back in time with us as we explore the 1969-1971 Pontiac GTO Judge. Word is the Judge got its name from a comic routine on the popular Rowan & Martin’s Laugh-In television show. 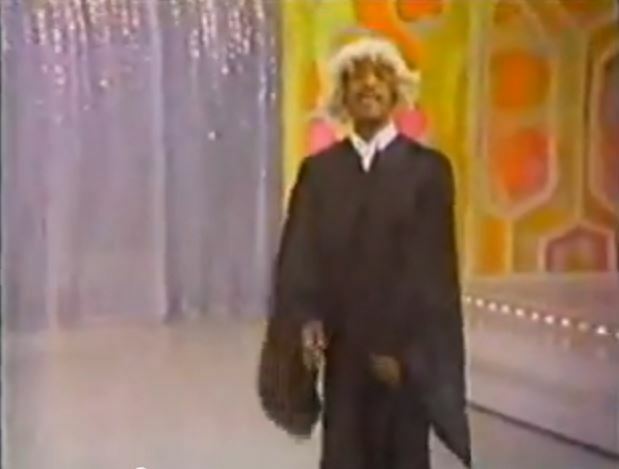 In the skit, Sammie Davis, Jr, donned in a judge’s robe and wig, would prance around the courtroom chanting “Here comes da judge, here comes da judge.” The Judge may have picked up its name from a rib-tickling TV character but it was a serious contender in the budget muscle car wars heating up in the late 1960s. Buyers who shelled out $332 for the Judge option got a blacked-out grille, 60-inch wide rear spoiler, and Rally II wheels. 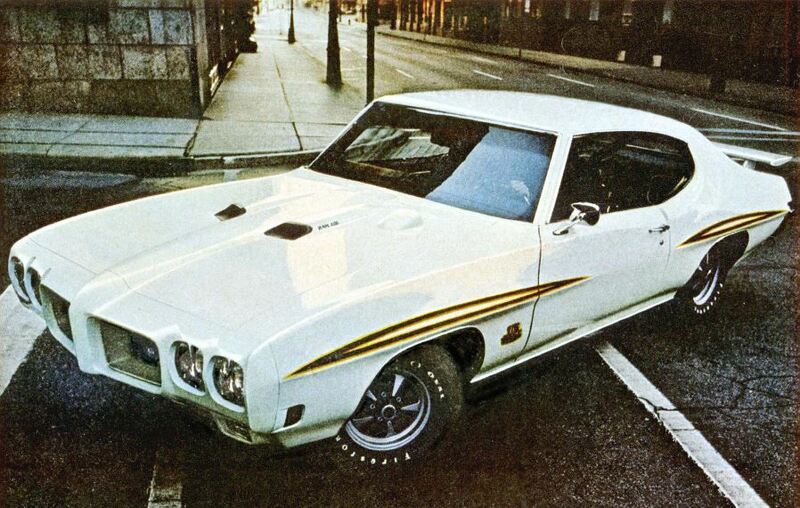 14-inch blackwall tires, body stripes, and functional hood scoops were also standard equipment on the Judge. It could be ordered as a hardtop coupe or convertible. Popular options included a hood tachometer, rally gauge cluster, and power front disc brakes. Initially, the Judge came only in Carousel Red but other colors such as Starlight Black, Palladium Silver, and Limelight Green were eventually offered. The Judge’s standard powerplant was a 366 horsepower Ram Air III engine with a 4-barrel Quadra-jet carburetor and free-flowing exhaust manifolds. The Ram Air IV was also available with an underrated horsepower rating of 370 horsepower. The street is where the Judge laid down the law. Car Life Magazine tested a Ram Air IV, 4-speed equipped Judge and scored a 0 to 60 time of 6.2 seconds. The Judge ran the quarter mile in 14.45 seconds at 97.8 mph. Hear ye, hear ye, court is now in session. Pontiac made sure the word got out about the Judge. It was heavily advertised in magazines with captions such as “All rise for the Judge” and “The Judge can be bought”. 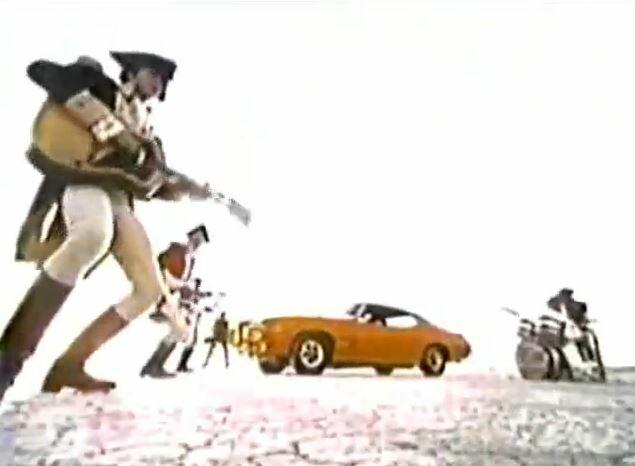 A Judge even starred in a television commercial featuring Paul Revere & the Raiders. All this promotion proved one thing. In the court of popular opinion, the Judge was a hit. The buying public’s verdict was the Judge was guilty of being a great performance car at a decent price. Approximately 6,800 Judges were sold during the 1969 model year. Not bad for a car that was only intended to be offered for one year. 1970 brought a few cosmetic changes to the Judge. Four exposed headlamps outside the grille replaced the hidden headlamps inside the grille from the previous year. The rear bumper was also restyled and the Judge decal was moved to the rear of the front fender. The Ram Air III was still the standard engine with the Ram Air IV once again offered as optional. Late in the model year, a 455 H.O. with 360 horsepower and 500 ft.-lb. of torque was made available. The Judge came heavily armed with features such as a front and rear stabilizer bar, rear deck airfoil spoiler, and front air dam. A variety of goodies such as limited-slip Safe-T-Track differential, variable-ratio power steering, and 7-blade thermostatic fan could be checked off on the option sheet. You probably ought to think twice before picking a fight with the Judge at a stoplight. Ram Air IV equipped Judges could sprint from 0 to 60 in 5.1 seconds. The Judge was also pretty formidable on the strip. In their April 1970 edition, Road Test magazine flogged a Ram Air III with a four speed and got a quarter mile ET of 14.77 seconds running 96.5 mph. Muscle Car Review put a Ram IV equipped Judge to the test in their December 1997 issue. They realized a 13.60 time where the Judge ran the quarter at 105.04 mph. With stats like these, it’s easy to see why the Judge handed out a little street justice whenever it could to the competition. 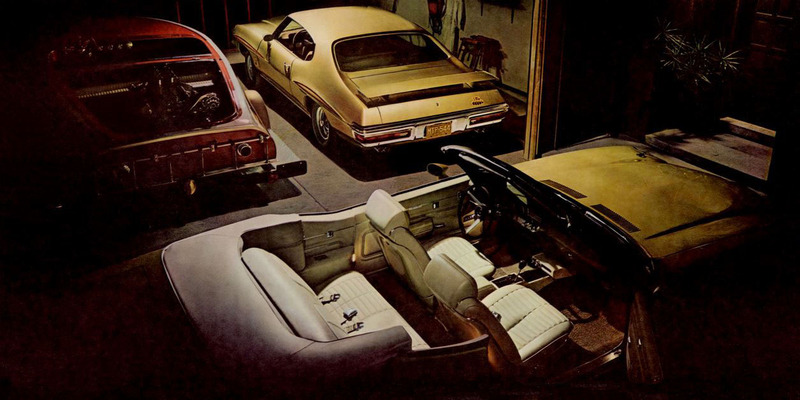 Sales dipped somewhat for the 1970 model year. Pontiac sold 3,797 Judges, including 3,629 hardtops and only 168 convertibles. Word is the insurance companies were starting to put the squeeze on premiums for muscle cars and the GTO was a casualty of this exploit. The Judge returned for a third term in 1971. Styling tweaks included a blacked out grille, restyled bumpers, and new hood scoops. A walk around the Judge reveals other styling cues such as Rally II wheels with white letter tires, a 60-inch rear-deck airfoil spoiler, and eye-catching body stripes. 1971 also saw a lot of changes under the hood. Gone were the Ram Air III and IV engines. Standard issue for the Judge was the 455 H.O. LS5 mated to a heavy-duty Muncie 3-speed manual transmission. The 455 H.O. churned out 335 horsepower and 480 ft.-lb. of torque. Due to increasing government restrictions, the 455 H.O. was calibrated to run on no-lead or low-lead fuels. This, in turn, lowered the compression ratio down to 8.4:1. Even with the absence of the Ram Air engines, lower compression, and Uncle Sam’s fuel requirements, the 455 H.O. was still a contender on the track. 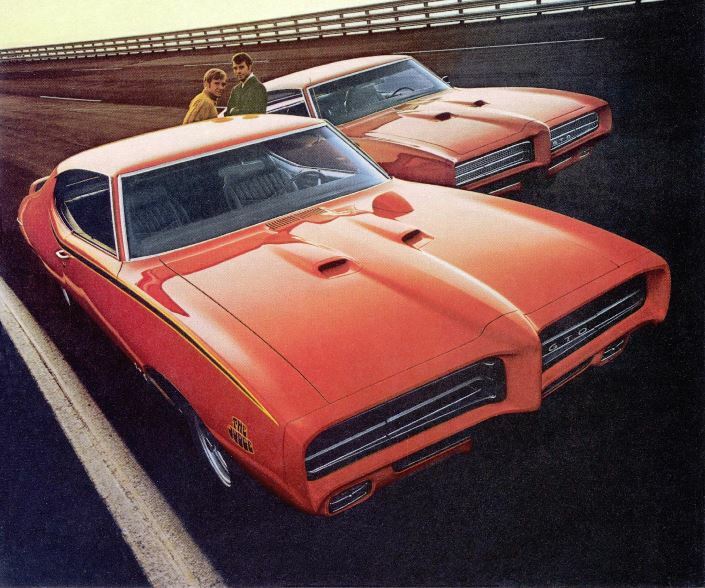 Motor Trend tested a non-Judge GTO with the 455 H.O. and managed a 0 to 60 time of 6.1 seconds and a quarter mile run of 13.4 seconds at 102 mph. Halfway through the model year, the Judge option was cancelled. After a three-year run, the Judge laid down his gavel and rode off into to the history books. Only 357 coupes and a mere 17 convertibles were built this year. It was truly the end of an era. A stalwart that was built to compete with other budget muscle cars such as the Road Runner and the Fairlane/Torino Cobra. 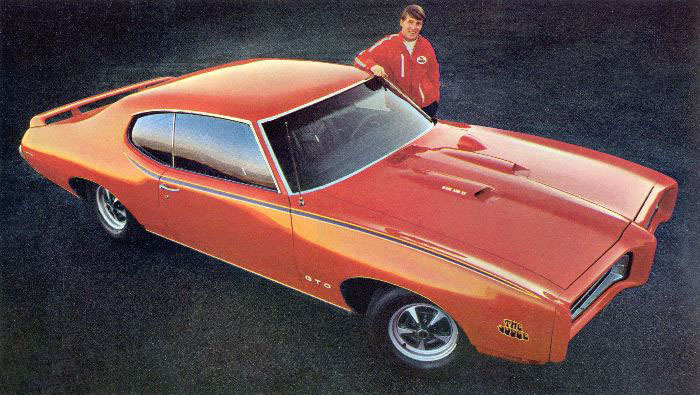 1971 would also be the last year the GTO was offered as a separate model. There goes da judge…long live da judge! The original name of the Judge was the E/T. A 350 cubic-inch V8 was initially the engine of choice for the Judge. John DeLorean said over his dead body would anything less than a 400 be the base engine.